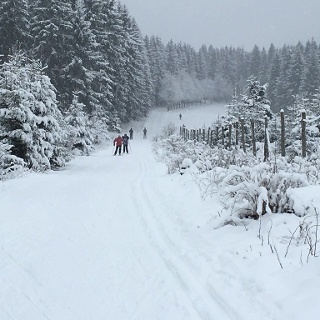 This trail is a challenge for skilled and advanced cross-country skiers. The route, which is around 5km long, can be extended by adding the other circular trails. 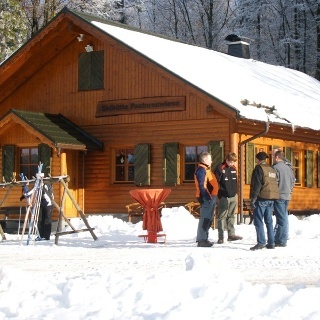 The DSV Nordic Aktiv Zentrum Girkhausen offers everything that cross-country skiing enthusiasts need. The high altitude means relatively reliable snow. Entry is possible from both the “Auf der Steinert” ski hut and from the Albrechtsplatz hikers’ car park at the B 480/B 236 intersection. 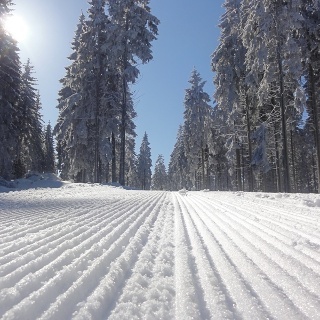 Thanks to the wide tracks, all trails are laid throughout in the classic and free style, and are directly connected to the Rothaar cross-country trail. The ski hut, which is situated directly on the trail, offers a place to stop for a rest, as well as hire skis. Bei winterlichen Verhältnissen bietet sich Ihnen ein wunderschöner Ausblick! Allerdings raten wir Ihnen, bei viel Schneefall, lieber zur Hütte hochzulaufen, als zu fahren. From Bad Berleburg, take the B 480 northwards, then the L 721 to Girkhausen, approx. the village centre, turn left into the “Im Ermelsbach” road, follow the road straight ahead until you reach the ski hut on the right hand side. From Winterberg, take the B 480 southwards, Hoheleye, then the exit on the left hand side towards Girkhausen, then the L 721 to Girkhausen, approx. the village centre, turn right into the “Im Ermelsbach” road, follow the road straight ahead until you reach the ski hut on the right hand side. Free parking is available at the ski hut.